Leskov’s Lady Macbeth of the Mtsensk District (1865) is the template here, a pastoral of straitened femininity, boredom and murder that owes a bit more to Flaubert than Shakespeare or Turgenev. But not a lot – animal lust is the key here and this painterly, pretty, frankly quick little psychodrama is not a lot more than the slightly-higher trash, albeit well executed, beautifully photographed and guiltily pleasurable. We’re somewhere near the moors, in an England (Mtsensk is nowhere to be seen) wedged between Jane Austen and George Eliot, with the lovely, creaking, chilly old manor house as a major character, having watchful windows, watchful, wary servants, and a refreshing paucity of dialogue. In fact the action moves rapidly through what is virtually a 90 minute montage. 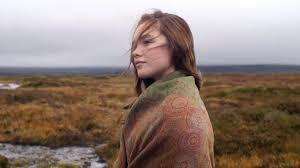 Katherine (an impressive Florence Pugh) is bored. She’s married to creepy, morose, misogynist pervert Alexander (Paul Hilton), whined-at by his nasty Pa, Boris (Christopher Fairbank, in a wonderfully rotten, mean and dried-up performance); she’s house-bound and tipsy. But there’s trouble at mill and Katherine is left alone with scared-of-her-shadow servant, Anna (Naomi Ackie). There’s a nice aura of repression dominance present, plus a touch of D. H. Lawrence (and Hammer horror) when smelly stable-boy Sebastian (Cosmo Jarvis) appears on the scene. Soon Katherine and Seb are at it like knives, which bodes ill for everyone. Dad is suspicious, and flays Sebastian, but he is successfully stifled by some bad mushrooms. Katherine sweetly invites Anna to join her at table, while Boris chokes to death in an adjacent locked room – the first vivid demonstration of psychopathy behind her bland exterior. Sonny finally manages to return home, where his welcome is equally lukewarm. And just when mistress and houseboy are settling into a quaint and specious pattern of domestic life, a boy who has legal claim as heir turns-up. It won’t be long before he turns blue! But conscience has gripped someone and there will be punishment for these crimes – some more subtle than others. 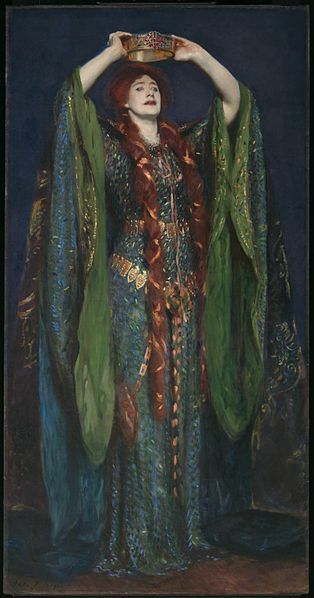 There is no real connection to Shakespeare’s Lady M – there are murders done in collaboration with a man, a “king” is killed, a young heir is killed; Katherine is the instigator and the strong one. This disconnect is really a product of the film’s faithfulness to the Leskov novel, which even features a somewhat ghostly cat. The Varnished Culture viewing staff did not mind this – these characters are not, after all, Shakespearean. The film’s object is to objectify Katherine and show what the sentient object is capable of, under the right or wrong conditions. In this it succeeds very well (boredom is imposed on Katherine as a process – corsets, bonnets, domestic violence, long languorous sessions filled with ennui) but in the final analysis, the work is too slight to get more than a respectable pass. What would Ellen Terry make of it…? Good review. Problem I had was that the farmhand/boyfriend was so freakishly unattractive - physically and morally. Yuk!! I suppose she didn't have much choice.